A lot has happened in the last three years. To recount, we have witnessed the Cabal being outed in mainstream media. We've also seen a mass awakening of thousands (and possibly millions) of people to new realizations of the false political game, the falsehoods in popularized science, and we have seen these people consciously choose to make greater efforts to observe the world for themselves instead of depending upon media to do it for them. Now, we are even seeing the beginning of the declassification of the Secret Space Program—a program which, up until the last three years, we knew very little about. Now that whistleblowers such as Corey Goode, William Tompkins, Dr. Pete Peterson and others have openly discussed these topics, we have a better understanding of what to expect with regard to further revelations. As eye-opening as these disclosures have been, there now appears to be a possible attempt by certain interests to shift the narrative of past disclosure efforts, or possible to control the narrative by muddying the waters of authentic information. The following post comes to us from the official Facebook page of Corey Goode. Afterward, we will discuss the implications and the possible motives for why an individual might come forward with false information regarding such important topics as Disclosure itself. 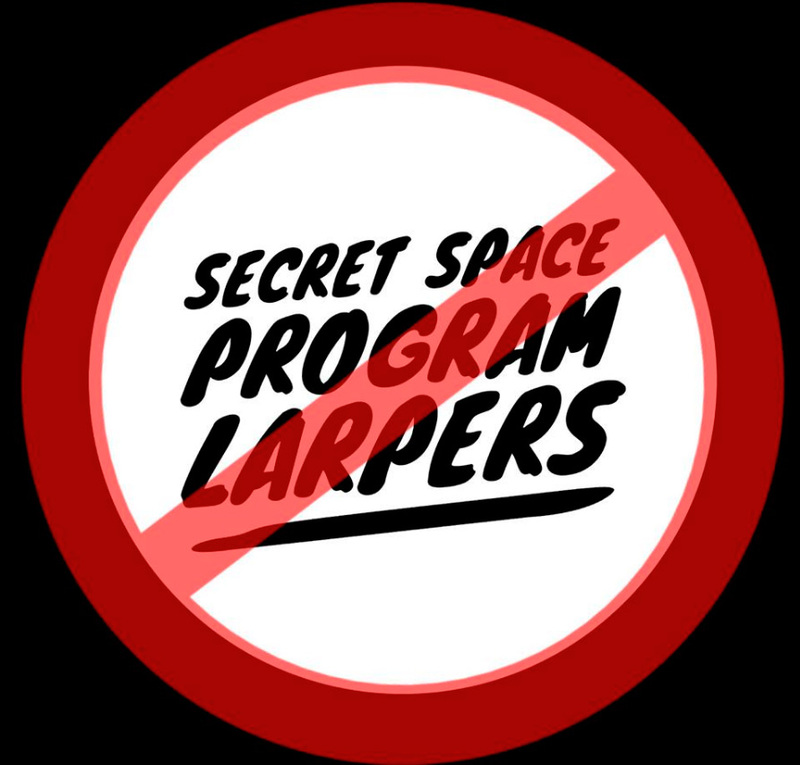 SSP Insiders vs SSP LARPERs? Nearly two years ago I warned the public that groups pushing a partial disclosure narrative would first attempt to discredit me in a smear campaign and then attempt to ‘Super Soldier’ the SSP topic by flooding the community with LARPERS. We witnessed the largest coordinated smear campaign in Ufology history a little over a year ago just as warned. Now we have the LARPER Disinformation Campaign that is moving in for part 2 of the partial disclosure plan. So far, the first LARPER is copying my testimony almost word for word and is using it as a template for their own fictional SSP experiences. I will dig much deeper into this topic in the coming days and weeks. We must say NO to SSP LARPERS and YES to Full Disclosure and consider the LARPER’s stories for what they are, entertainment. This all occurs just as Space Force is announced and Q-Anon posts about Secret Space Programs and ET’s. SSP is going mainstream and the MIC SSP has been ordered to control the narrative with exactly these types of tactics. Buckle up everyone, we are entering a very important phase of not only Disclosure but the freedom of Humanity. Stay strong and screw on your discernment hat, you are going to need it! It definitely seems concerning that any individual would attempt to falsely portray themselves as a whistleblower. Not only would such an act threaten to delegitimatize the authentic insiders who have come forward, but it could distract and dissuade newcomers to the subjects of disclosure. 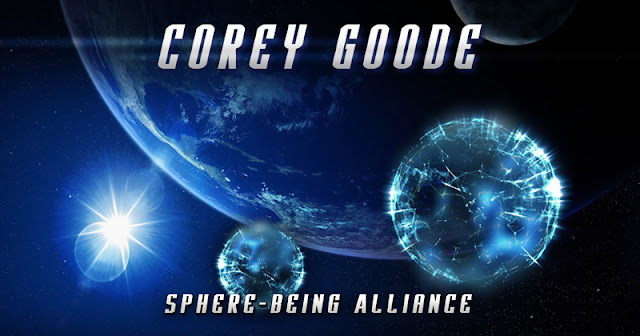 It appears that this post from Corey was a hint regarding the new figure who is currently being promoted by the Cosmic Disclosure series. This is only a guess, of course, I have no special insider knowledge on the subject. However, it does strike me as odd that the show basically ended when Corey, David, and Emery decided to retire from it, and then we see this new and unknown personality along with unfamiliar changes which seem more like a creative production than the authentic information which audiences have come to appreciate. The potential introduction of false whistleblowers does strike me as somewhat concerning. However, on the other hand, the opportunity to actually evaluate the substance of a credible witness as compared to the fabricated story of a potentially fraudulent one intrigues me. These opportunities to discern truth from fiction not only help us to find authentic truth in information, they can also help bring us to greater levels of self-awareness, and this is the true goal of awakening as well as Disclosure as a whole, I think. I look forward to evaluating the substance of this new whistleblower as well as all others who may choose to come forward. At present, I am actually working on a parallel article on the subject of the Cosmic Disclosure series and the new guest the series has presented as an authentic whistleblower. Look forward to that analysis in a future article. In addition to these developments, it seems there has been an astounding increase in the disclosure narrative put out by the mainstream media. These have come from British news organizations for the most part. However, the size of these news sources in addition to the significant size of their audience bases speaks highly of the boldness which mainstream discussions of ETs and UFOs have progressively shown. It is interesting to see how far we've come. The truth community has been through an alarming among of challenge and adversity, and yet, for the most part, we are still strong, still learning, and still determined to assist the world in its awakening and liberation process. We may have also noticed that a significant number of predictions by Corey and reported sources from the SSP have repeatedly come true. Since early 2016, we have seen an increase in the consistency, pace, and level of significance in disclosures from mainstream media. These disclosures progressed from simply discussing of microbial life in the atmosphere to explorations of the possibilities of finding Earth-like planets in distant star systems. These discussions then progressed to the likelihood of finding intelligent life and even advanced technology on asteroids in our solar system. At present, these mainstream disclosures have become so blatant that at times, they even surprise me. One article from the Sunday Express openly reveals further footage and details about the flying triangular spacecraft known as the TR-3B. UFO technology: Has US military built space ship to travel the universe? A MYSTERIOUS craft has been spotted near a US military base which has led some to believe a high tech spaceship could be involved in the new age space race. Global powerhouses are in a race to get back to the moon, and ultimately to Mars, and conspiracy theorists are speculating the US could be leading the race after spotting something suspicious. Users of Google Earth have been trawling the online globe to spot any suspicious activity and believe they have found something in New Mexico. Two triangular crafts have been spotted in the middle of a massive 900 metre circle in the desert of New Mexico. To make matters more mysterious, the two crafts, one much larger than the other,were found near the Holloman Air Force Base. The Holloman Air Force Base is something of a UFO hotspot and was centre of a 1974 documentary which claimed experts there had been in contact with aliens. Now conspiracy theorists believe that authorities at the air force base are using their ET knowledge to get into space. The narrator of a video uploaded to YouTube by UFO hunting channel Third Phase of the Moon said: “What’s really strange is that when I first searched these coordinates, Google Earth didn’t really work so we had to go through a few different ways of trying to find this location. “It looks like a craft but whatever it is very advanced as you can see there is no landing pad. See also - Military.com Discloses Existence of Anti-Gravity Technology; Deletes Post Only Days Afterward - What's Going On? At first, the subject of the TR-3B was disclosed by the website, Military.com. That article also featured video footage of this spacecraft performing what appeared to be an airshow or a display of its aerial capability and maneuverability. The disclosure came as a surprise to many members of the truth community, as many were not expecting to see a reputable site make such an admission so soon. This article from Sunday Express was actually one of two from this same publisher. The above post was the second of the two. The first of these came earlier in September of this year on the 10th. That post actually discussed the existence of black projects and covert space programs. This too was extremely surprising, as up until this point, most of us have not seen these topics discussed so openly by the MSM. Here is Express with the article. A SHOCK "triangular UFO" has been spotted close to a secretive US military base, amid speculation that the aircraft is the mysterious TR-3B on a test-run in Texas. Incredible footage has captured a bizarre "triangle UFO" flying across the El Paso sky in Texas this week. The mysterious sighting has been linked to top-secret US technology developed at a nearby military research base. Online viewers speculated that the aircraft, which has left many baffled, was a TR-3B aircraft, which is part of a "black government project". Several sightings of "black project" aircrafts have been recorded close to military testing areas, such as Edwards Air Force Base in California, and United States Air Force Plant 42. The man who filmed the latest footage stopped his car on his way to work to capture the unusual object before it vanished. The video of the supersonic aircraft has already racked up thousands of views after being posted online. The man told the Daily Star: ""I stared at the sunrise as usual because I have to stop at a red light, right before I get to work. "After a few minutes, I glanced to the right and saw a glowing triangle and thought it was weird. So I took several pictures and a short video." The nearby White Sands Missile Range has been blamed for a series of strange sighting in El Paso. The US Army base is the largest and one of the most secretive military installations in the US. White Stands has primarily been used to test newly developed weapons and is infamous as the world's first testing ground for the atomic bomb. Almost all the experimental weapons research carried out at White Sands is highly classified. I do recommend navigating to the above websites at some point, as the actual articles include videos and extra commentary which may add to the story. But for right now, let's see what sense we can make of these surprising revelations. Again, I find it very interesting that subjects which we have only heard discussed in alternative communities are now being openly discussed in this way. One would think the mainstream media had been talking about these subjects on a regular basis for years, considering how naturally they now mention black projects and classified technological development. It may even be that these news companies are copying directly from the talking points of alternative personalities. This might explain their casual discussion of issues they have never mentioned before. They sound as though they have been either reading directly from the Exopolitics website or another similar source. To move our discussion further, here is another article from a popular British publisher, the Express. Here again, we see a bold move toward a scientific paradigm shift of monumental proportions. LARGE Hadron Collider scientists have uncovered an IMPOSSIBLE anomaly in reality so momentous it threatens to undermine physics itself. The revelation has been spotted in the mind-blowing sub-atomic world where particles are mere wisps of existence and only survive for microseconds – but the new science could see 100 years of accepted physics thrown in the bin. The discovery is so troubling it threatens to undermine the so-called Standard Model – the bedrock of all modern physics and an attempt to formulate a theory of everything. Leading British physicist Tara Shears who carries out research at the famous atom-smasher in Cern, Switzerland, said if the anomaly – which is still being analysed – turns out to be correct it would “break science”. She added: “As a particle physicist its as big as Einstein. The Standard Model was the dream of major scientists from Einstein to Hawking – and many physicists believed humanity was drawing closer to a final theory which explained everything in the universe. But the new LHC discovery has confounded the scientists’ optimism. Initially physicists at the massive LHC dismissed the new findings as a mistake or a quirk of the seven-mile long collider. But repeated identical findings of the freakish movements of an infinitesimally small particle known as a Muon seemed to prove conclusive. More importantly the data could not be explained away using established norms of theoretical physics. In an interview with Express.co.uk at the New Scientist Live expo in London Ms Shears, Professor of Physics at the University of Liverpool, said normally particles behaved in line with the predictions of theoretical physics – in, in this case when an electron decays two particles known as Taus and Muons should be spat out. However LHC researchers discovered Muons were not adhering the physics of the Standard Model and were being spat out 25 percent less than they should be. Ms Shears said: “Muons were produced 25 percent less often than electrons and that cannot happen in the Standard Model. “That can only happen if there’s new physics out there. These subjects of classified projects and technology have been popular topics in news as of late. It's almost as though British publications are using this turbulent political climate as an opportunity to disclose significant amounts of intel which might otherwise shock the public to some extent. This was actually an idea that I have been considering. If the Alliance wanted to disclose and fulfill their ethical obligation to bring the people up to speed about the truth of the universe, all they would need to do is wait until everyone was distracted by the latest MSM drama and dump a large amount of intel to some online site while we were all preoccupied. Afterward, it would be up to those of us in the alternative media to disperse the information to whoever was willing to listen. Those who could not handle the information might simply ignore it as usual. Those who could handle the disclosure and who desired to learn more would be more open and likely to welcome the possibilities of societal development. As the intel was dispersed naturally, the people would eventually become aware of the greater truth to such a degree that a mainstream announcement would seem normal to the average person. In this way, political drama can actually be of benefit to the efforts of disclosure, not that we enjoy the unnecessary social tension, however. It is interesting to see the MSM moving in such an unorthodox direction of discussion. It is as though we are living in the Twilight Zone, or at least in many ways, a more productive version of reality. It has truly become a challenge to predict what exactly may come next (though we might know to some extent thanks to past predictions). There have even been numerous instances of progress toward disclosure of classified science, and this appears to be a huge step in a world-changing direction. As we know, science, in many ways, has morphed into a modern-day religion and has actually become a source of emotional security for many of those who swear by it. The theories of yesterday have, in a way, become the religious dogma and canon of the modern world. On a number of levels, the scientific establishment has blatantly abandoned the scientific method in order to sustain the currently accepted dogma of scientific superiority over all those who might disagree. Of course, this has created a largely counter-intellectual and counterproductive environment in which only certain theories and ideas are allowed to be discussed. Even when certain principles are proven false, the scientific establishment will retain them as superior to all others, possibly to maintain the corporate entities which depend upon outdated and flawed science in order to exist. However, according to the above article from Express, this unproductive trend is being overthrown, much like many of the flawed, failed, and corrupt establishments which have gripped modern society. As we approach the inevitable point where we hear public discussions of real extraterrestrial life and advanced technological potential in our current society, there will likely be further hints toward these facts similar to those listed above. These subtle ways of revelation have a tendency to peak our interests and to keep our imaginations progressing to the point when the truth about advanced technology, exo-planetary life, of black projects, and about the less-than-ethical means by which all of these were created and sustained can be openly revealed. I expect the disclosures to continue and to intensify, and as they do, we the people will be ready to take on and thoroughly evaluate the implications therein.